Back at Google I/O, Google announced new functionality coming to Chromecast that would embellish the current crop of beautiful imagery that’s displayed as a screensaver when your Chromecast isn’t ‘casting’. Called Backdrop it promised to allow you to add a range of new sources to show, this morning, Google has announced the feature is live. Chromecast users in the US will also be able to Chromecast News and lifestyle images from The New York Times, The Guardian, Saveur and more. 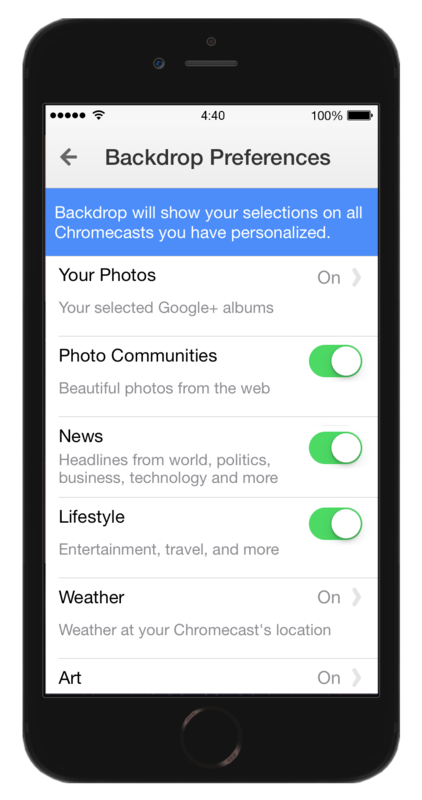 Backdrop is available once your Chromecast app is updated. 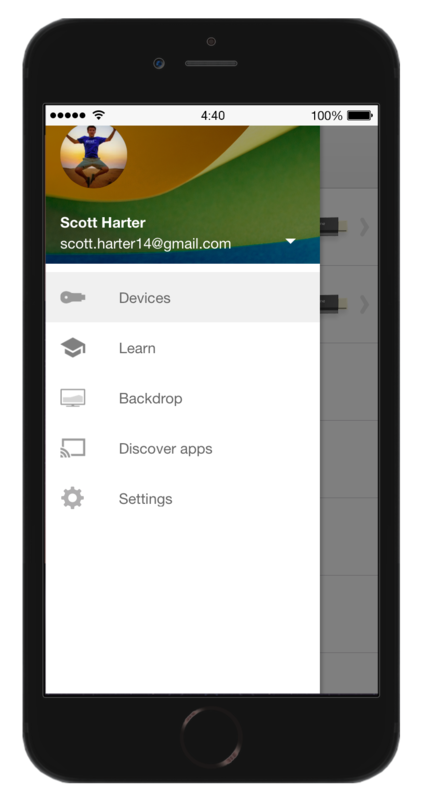 To change the Backdrop settings on your phone, simply go to the app and select ‘Backdrop’ from the slide-out menu on the left. Then choose the topics you want to show on your TV. I'd like to work out how to turn back drop off. It uses about 200mb per day. Find the domain it loads from and block the URL on your router. Just let us add custom DNS to the thing for gods sake! Sounds so simple and easy! will give this a try, never have heard something so quick and accessible.